Words cannot express the gratitude of the patients we serve or the pleasure we feel extending our services to the underprivileged. I thank Aloha Medical Mission for making these missions possible. Donate today to make a world of a difference! 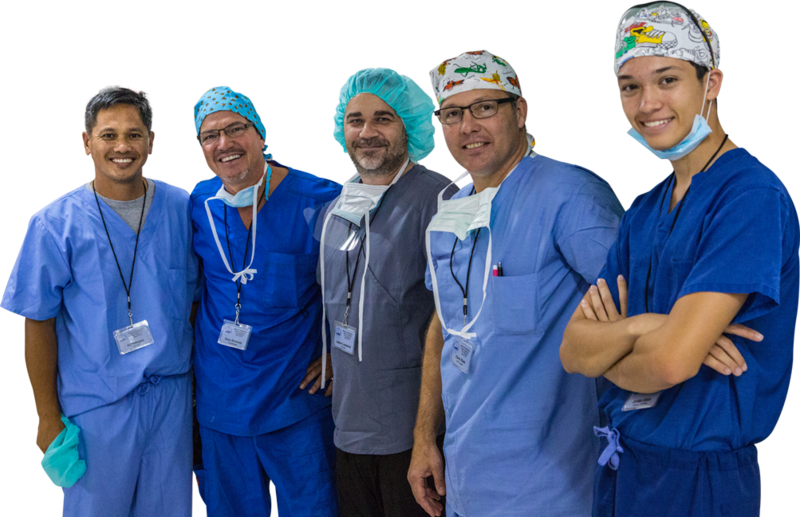 Our surgically focused missions are composed of general surgeons, gynecologists, dentists, anesthesiologists (including CRNA’s), and plastic surgeons. Other specialties (eg ENT, ophthalmology) are sometimes represented. Medical specialties (family practice, ER, internal medicine, pediatrics) are included depending on the location and local needs. Nurses are an essential component of the mission team and include these specialties: OR, ICU, recovery, ER, med-surg, Nurse Practitioners/Assistants, Dental Assistants and OR Technicians are also needed. Uro-gynecology subspecialists are needed to treat uterine prolapse. Mission sites are generally in small rural towns where the population is most frequently medically underserved. Aloha Social Services Bangladesh (ASSB) is a year-round ongoing project that began in 1998 as a windowless, one-room clinic with a table for an exam bed. Named ASSB by the sponsoring Bangladesh family, this branch of the Aloha Medical Mission has expanded over the years to meet the multiple needs of the local indigent population. Today, there’s one permanent full-time family practitioner who is a combination of outpatient physician, hospitalist and surgical assistant. ASSB also has a part-time dentist, a part-time eye surgeon, and a part-time OB-GYN doctor. An orthopedic surgeon from outside operates on-call. 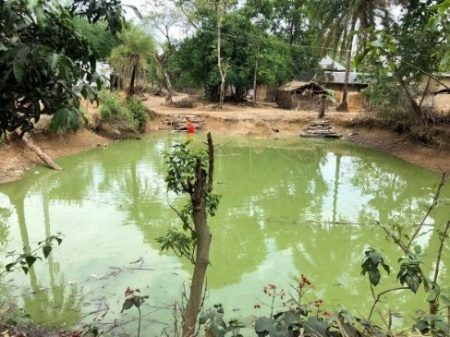 Of ASSB’s multiple projects for the poor, the AMM supports one medical facility in Dinajpur to assist each year with a hospital that operates on a lean budget of $30,000 per year. If you have been selected to go on a mission, please FILL OUT ON YOUR DESKTOP, SAVE TO YOUR COMPUTER THEN EMAIL TO: JOCELYN@ALOHAMEDICALMISSION.ORG Please note that filling out a form does not guarantee a spot on a mission. Mahalo! What types of surgeries are performed? Our general surgeons will commonly do inguinal and abdominal hernias, thyroidectomies, (open) cholecystectomies, breast, ano-rectal, and simple head & neck (branchial cleft and thyroglossal duct cysts) surgeries, circumcisions, amputations, and a variety of soft tissue masses (lipomas, sebaceous cysts, neurofibromas). Laparoscopic equipment is rarely, if at all, available in the facilities where we work. PLASTIC SURGEONS are needed for cleft lip & palates, burn contractures, and hand injuries. ENT SURGEONS are needed for tonsillectomies and head & neck procedures. GYNECOLOGISTS will perform hysterectomies and oophorectomies. Uro-gynecology subspecialists are needed to treat uterine prolapse. DENTISTS do what dentists do best: pull teeth, and if the facilities and equipment permit, also do restorative dentistry. OPHTHAMOLOGISTS are in great demand to perform cataract extractions. The continued success of our foreign mission program depends greatly on sustained recruiting of skilled, energetic and motivated physicians, dentists, nurses, and ancillary health-care professionals. Please consider volunteering.